Obituary for WILMA JEAN (BASS) KEYS | Beverly C. Draper Funeral Home, Inc.
Wilma Jean Bass Keys, 80, of Monessen, PA entered into eternal rest on November 27, 2018 at Monongahela Valley Hospital in Monongahela, PA. The daughter of the late Bishop J. E. Bass, Sr and the late Mary V. Watts Bass of Monessen, PA, she was preceded in death by her husband, Ronald Keys, Sr., a brother, Lloyd Dwight Bass and her beloved son, Ronald Keys, Jr.
As a registered nurse for over 40 years, a natural calling befitting her caring and diligent manner, she trained at West Penn Hospital School of Nursing in Pittsburgh, PA and subsequently served as a First Lieutenant in the United States Army, commissioned by then President John F. Kennedy. Her vast nursing experience has included time at Walter Reed General Hospital in Washington, DC, West Penn Hospital, the VA Hospital in Pittsburgh, PA and the Mon Valley Health Center in Monessen. She ended her nursing career at Monongahela Valley Hospital, working first on the medical-surgical unit and subsequently retiring from the Behavioral Health unit in 2004. Her reputation as a no nonsense stickler for perfection and excellence, while providing unerringly passionate care, was well known among her many medical colleagues and patients. It was while she was employed at West Penn Hospital that she met and fell in love with a co-worker, Ronald Keys, Sr., who became her husband. With this man, whom she has described as her best friend and love of her life, she created a home first in Pittsburgh, PA. Later, they moved to Monessen and raised three children. Wilma wanted everyone to know what a wonderful, caring husband Ron was, and how he did all he could to make her life easier. As parents and partners, they consistently modeled values of loving commitment, faithfulness, devotion, a strong work ethic, unity and stability, quietly setting the expectation that their family was limited only by the altitude of their dreams. “Mother Keys,” as she is affectionately known by her Gate of Heaven Church family, was a devoted and faithful member, serving in various capacities from church mother to her role as Chairperson of the Church Health Ministry. The latter included establishing a “Body and Soul Program” for the church, as well as working with the American Heart Association and the American Cancer Society in developing healthy heart initiatives and reducing risks of cancer. She also participated in the Highmark Learning Collaborative, which consists of 50 churches in the Pittsburgh area promoting health initiatives, including blood pressure screenings and seminars on colorectal cancer, breast cancer, and diabetes, and healthy eating. Mother Keys loved her church family and her Pastor William C. Bass, Sr. She was very active in the Ministry. As the oldest member of the church, she was loved and respected by everyone. She served as the Chairperson of the Church Anniversary Committee, and she coordinated the annual Church Christmas Celebration. She established a “walking prayer” at the church to promote heart health and spiritual growth. Mother Keys was a mentor to the young women of the church and served as a role model. She remained faithful in spite of her failing health. Wilma possessed an aura of unusual intelligence, humor, grace, kindness, faith, forbearance and courage, beloved by those who came to know her and were touched by her life. She was immensely proud of and doted upon her grandchildren whom she dearly loved. She was also an avid reader, lover of good game of Scrabble and devoted fan of “Jeopardy”. 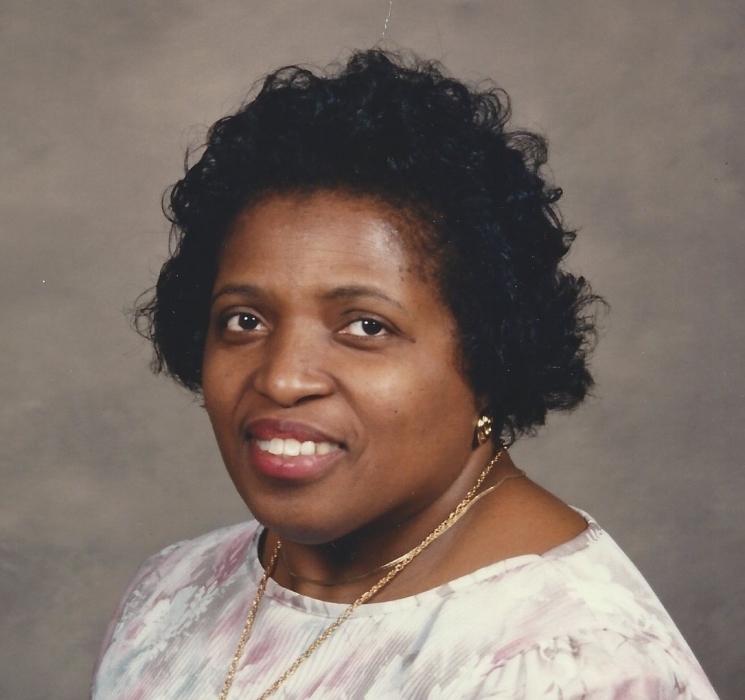 During the last year of her life, she resided with her sisters, Ruth and Izetta Bass, aided by her youngest sister Doris Bass Wade, all of whom provided outstanding, loving and devoted care for which Wilma frequently expressed gratitude. Wilma is survived by her remaining children, Dana Keys-Frezzell, MD(Reginald),Virginia Beach, VA; Scott R. Keys(Neirissa), Murrietta, CA; 7 grandchildren: Marine Corps Sgt Mark Frezzell, David, Matthew and Joshua Frezzell, Cameron and Calia Keys and Ronay Keys; 8 brothers and sisters, Bishop Joseph E. Bass, Jr (Barbara ) Harrisburg, PA; Izetta E. Bass, Monessen, PA; Bishop J. Richard Bass (Delphia), Monongahela, PA; Supt. William C. Bass, Sr, Monessen; Ruth A. Bass, Monessen; Bishop Edwin C. Bass (Jessie), St. Louis, MO; Doris P. Bass Wade (Charles), Donora, PA; Pastor Wayne M. Bass, Sr (Belinda), New Haven, CT; a host of nieces and nephews, the extended Keys/Holloway/Calloway/ Butler family, her Behavioral Health Unit family and her Gate of Heaven Family. The family wishes to extend special gratitude to Drs. Ashok Jain, Sudha Nayar, Barry Tonkonow, Michael Nathanson and Gene Manzetti as well as the Nursing Staff of Mon Valley Hospital for outstanding medical care delivered with such concern, compassion and diligence. The family is also grateful to the Monessen Ambulance Service EMT. Friends will be received Monday December 3 from 2:00 - 4:00 and 7:00 - 9:00 and Tuesday December 4 from10:00 -11:00 at which time a Home Going Service will begin at Gate of Heaven C.O.I.C with Supt. William C. Bass, officiating.